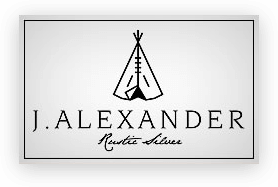 J. Alexander Rustic Silver items are made one at a time, by hand. Each piece is crafted from nickel silver and is hand tooled by skilled artisans using techniques that have been around for generations. Each J. Alexander Silver piece will be slightly unique and has a finish that looks somewhat vintage; there are supposed to be some darker black spots on the metal. The turquoise we use is hand selected at our shop in Dallas and only the very best stones make it onto our products. 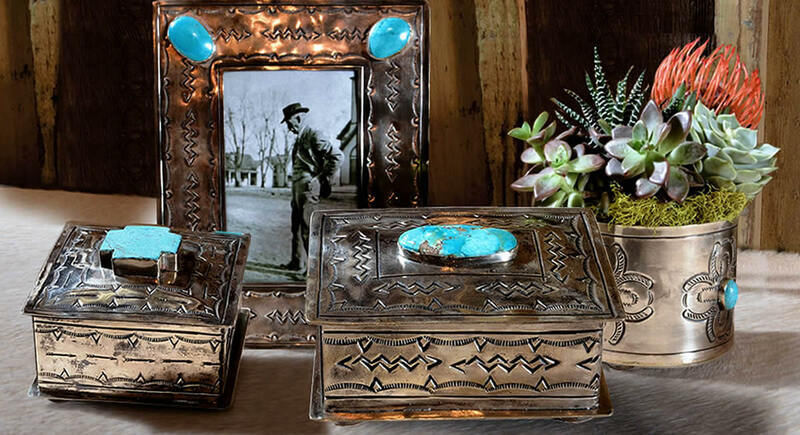 Our inspiration comes from the work of classic Navajo silversmiths from the late 19th and early 20th centuries and we hope our pieces honor that vision. We also hope you enjoy whichever piece of J. Alexander Silver you choose to bring into your home.